1. One of the most commonplace instructional strategies in elementary and middle schools is that of oral reading. Virtually all teachers, at some point in the school day, engage in this activity, whether by reading aloud to the class or by having the students read to one another. Although some recent educational theorists have challenged the efficacy of oral reading, its popularity in schools and classrooms is unchallenged. 2. The history of oral reading in the classroom is inextricably linked with the history of the culture that engendered it. Prior to the development of computers, television, and radio, reading was the predominant form of family entertainment. However, printed books were often scarce , and literacy rates were often low. Thus, families would gather around and listen to a book being read to them. Early classrooms were modeled after this phenomenon, and oral reading was such a part of academic life that schools were sometimes called blab schools. In these schools, students often read their lessons aloud simultaneously, even when the students had different lessons. At other times, all students read the same text aloud. 3. With the increasing availability of books, schools began using textbooks to teach reading in the classroom. By the nineteenth century, the focus had moved to teaching students "eloquent reading." Students were expected to recite stories, poems, and prayers for the class, and the teacher graded them on their articulation and pronunciation, as well as their abilities to recall what they had just read. This method persisted into the twentieth century and became known as the story method of instruction. Oral reading was such a focal point of instruction that philosopher William James stated "...the teacher's success or failure in teaching reading is based...upon the oral reading method." 4. However, as the twentieth century progressed, the effectiveness of oral reading was called into question. Educational scholars in both Europe and the United States wondered exactly what oral reading was teaching students. With oral reading focusing excessively on pronunciation and dynamics, educators doubted that students were even able to comprehend what they were saying. One scholar quoted a study that claimed that eleven-twelfths of students did not understand what they were reciting when they read orally. Friedrich Froebel, a German education specialist, argued that oral reading inappropriately placed emphasis on expression, when the emphasis should be placed on process. 5. Also at this time, science was gaining increasing prominence, and across all fields researchers were placing a premium on empirical studies. Many long-standing beliefs and views were challenged, and educational theories were no exception. Behavioral scientists studied reading practices and determined that oral reading was no longer in fashion. In fact, they concluded that the only time students read orally was in school. Most individuals read silently, and this finding led many schools to change their methods to reflect this change. 6. The new preponderance of written texts also played a role in the history of oral reading. With the amount of printed material rapidly expanding, silent reading, which was more efficient, became the reading model of choice. For a number of years, oral reading was absent from many a classroom. But in time, new research and studies brought oral reading back to the forefront of education. 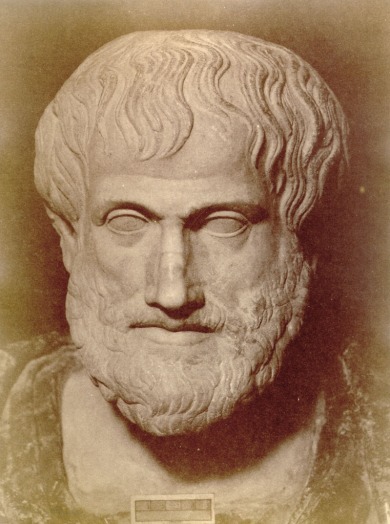 Pressley's and Afflerbach's influential book Verbal Protocols of Reading emphasizes the importance of oral reading, tracing its history back to the methods of Aristotle and Plato. In many ways, however, the new research reiterates what most teachers already know. For them, the necessity and effectiveness of oral reading was never in doubt. Main idea (provide the missing words) - Despite challenges to its , reading remains an educational .